Here in Vegas, the ways to beat the summer heat are practically endless. We have pools for days, icy bevvies to your melting heart’s content, and A/C units that relentlessly pump frosty air into the million-degree desert. And since rocking our birthday suits is albeit the best option but only legal at some pools, during our sweltering summer months, sometimes all that we want is to be on the beach where little clothing is required and cascading waves splash away our sun-burnt sorrows. And lucky for us, this is Vegas and a beach in the middle of the Mohave is not a far-fetched notion. 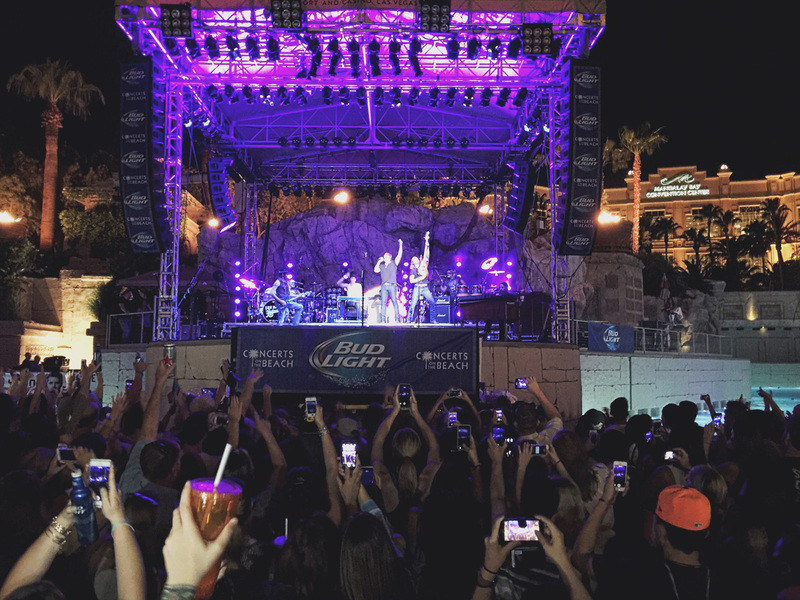 Making summertime a little cooler, and much more musical, the Mandalay Bay Beach Concert Series invites guests to chill out this summer with sundown, surf-side concerts from some of the industry’s hottest touring acts. Among this summer’s varied concert lineup, party-goers will have the chance to rock out with NEEDTOBREATHE and Switchfoot, get their island groove flowing with Iration and Ziggy Marley, and feel a little country in their souls with Randy Houser and Dustin Lynch, among other acts. But don’t be the silly noob who doesn’t eat before an epic beach concert. Not only are we saving you from being a hangry concert-goer, but we are telling you that it is in your absolute best interest to work up one hell of an appetite before you head to the beach because this is a foodie moment that you undeniably want in your belly. 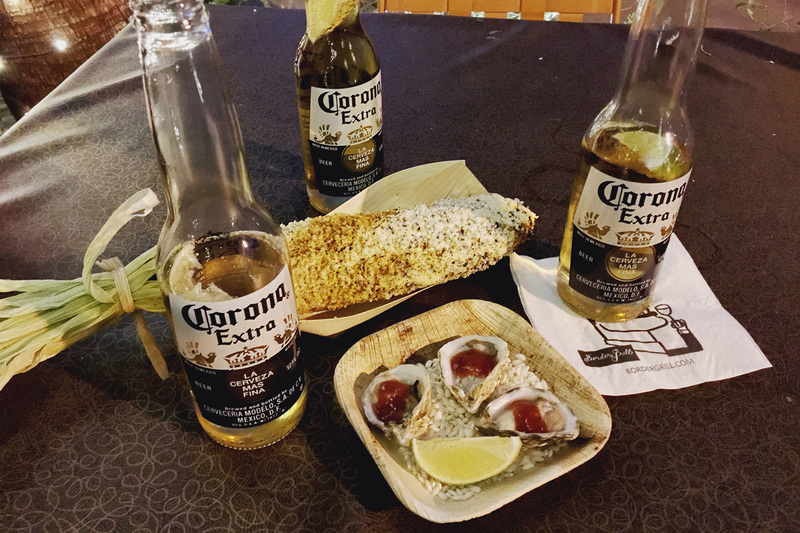 Mandalay Bay’s Border Grill is not only right next to the beach, but they host a killer pre-party Backyard Barbeque before every concert. Let us be the first to tell you that they know a thing or five about getting a party started. Beginning with the booze specials (because that’s always where our priority lies), Border Grill will get your pre-show feel-good flowing with $5 brews and $7 margaritas that you’ll be happy you guzzled down when you see the libation lines on the beach for drinks double the price. And for their sustenance portion, at the Backyard Barbeque you’ll be happy you came hungry at the delicious moment you sink your teeth into the three-buck grilled Mexican corn, oysters that ring in at the same price, as well as brisket torta sliders and Baja ceviche that will fill you up at $5 a pop… Hang tight for a moment while we scoop our jaws off the ground. But really, we did try this all for ourselves and we were almost too full for beer from eating so much barbecue… that never happens. Bottom line, our tips for you this summer are to catch as many beach concerts as possible because they are a blast, eat as much barbecue as your summer bod will allow because it’s delicious, and let your most strenuous activity be 12-ounce curls… or 40-ounce for you awesome overachievers out there. Tickets available through Mandalay Bay Hotel & Casino.